At SJCA, our team excels at bridge inspection. 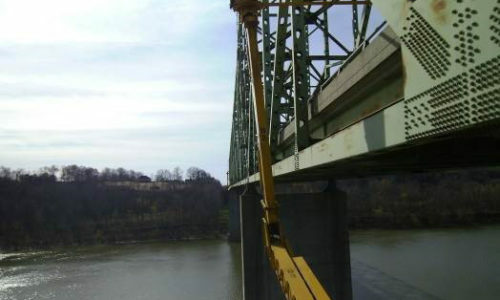 We are currently one of the most sought after engineering companies to be included in bridge inspection projects. Offering multiple professional engineers and certified underwater inspection professionals, we meet any bridge inspection need. SJCA was the inspector this 17 span, fracture critical bridge. The inspection was performed using three inspection teams. The SJCA team was responsible for inspecting the upper chords, portions of the vertical and diagonal members above the deck, lower chords and provided inspection for three of the eight concrete approach spans. 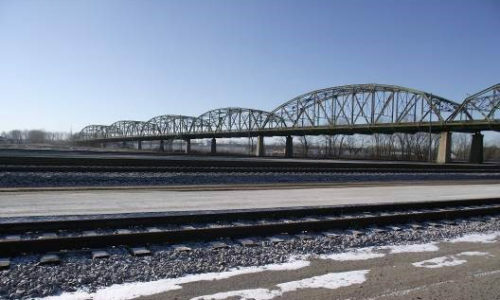 SR 57 in Greene County was constructed in 1940 and is a six span steel beam and steel truss bridge. Initially, SJCA prepared an inspection plan for the project that used two inspection teams, one for the upper members and one for the lower members. Our approach produced savings in user costs to the traveling public by reducing the lane closure periods. 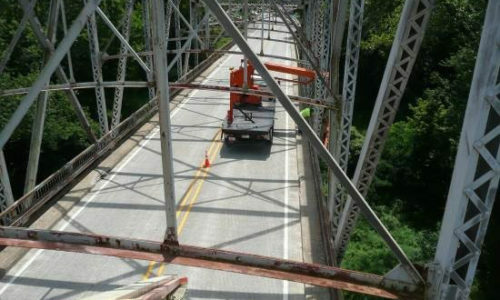 The SJCA inspection team was responsible for inspecting the five Kentucky approach spans, which consisted of two girders with a floor system, inspecting the lower chord and floor for half of the two truss spans over the river and half of the seven Indiana approach spans. A special inspection of fatigue sensitive details was also provided. 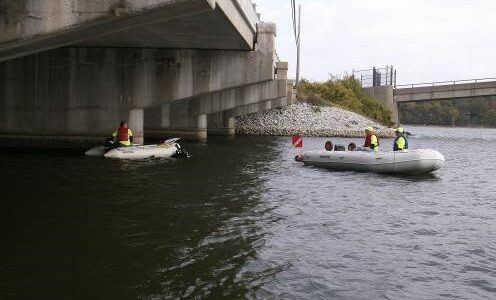 The underwater inspections for Marion County included 41 bridges with over 80 substructure units ranging in depth from 3 feet to over 20 feet. Our underwater services inspected waterway cross sections, providing data of stream action upstream, downstream and through the bridge. This data provides a history of stream position with respect to the bridge and can be used to monitor stream meandering or bridge scour over time.